Disclaimer: I’ve been working through heartbreak still. It’s a process. Although I’m much better than a couple months ago, I still work through sadness while diligently pursuing a path of compassion and learning. Each day goes by, and each day, I show up and practice a bit more. I recently purchased a book to work through to help me with processing all the challenges and opportunities of a broken heart. It’s called “The Wisdom of a Broken Heart”. The book recommends keeping a “Heartbreak Wisdom Journal” as part of the process, with many included activities to get you to see your situation more clearly and tenderly. I’ve started this journal and thought I would share some of the posts here for anyone else who may benefit from sharing the process of heartbreak. After starting this yesterday [there was an initial exercise in the book with some basic questions], I had strange dreams in which Lisa told me how little she loved me and for how long that had been the case. It was very upsetting. 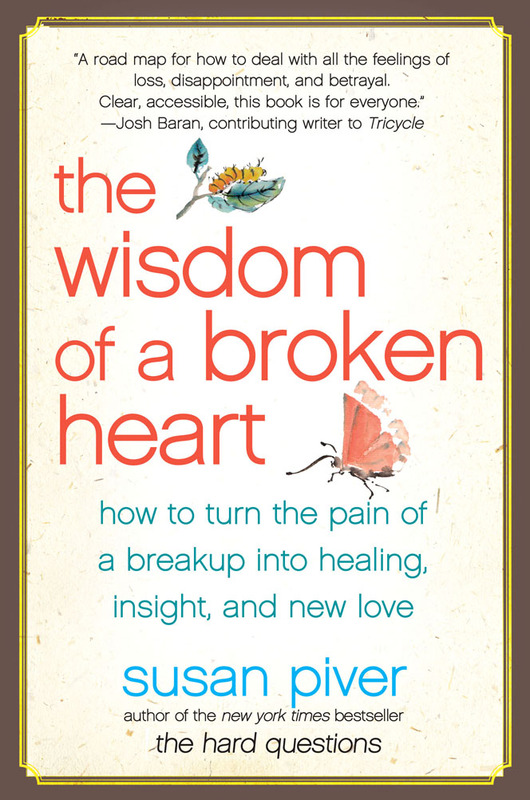 I think that sitting calmly through my feelings for months and reading many of the same books that inspired Susan Piver’s The Wisdom of a Broken Heart have put me several steps ahead of her initial points. However, I realize now that the feelings continue to drag on because I have not fully walked toward them and invited that pain into my tender heart: fully taking up the warrior’s heart. These dreams felt like the opening of a wound–the emotional pus oozed out. The tender flesh underneath has much to heal and much to offer. When you awaken your heart in this way, you find to your surprise, that your heart is empty. You find that you are looking into outer space. What are you, who are you, where is your heart? If you really look, you won’t find anything tangible and solid. Of course, you might find something very solid if you have a grudge against someone or you have fallen possessively in love. But that is not awakened heart. If you search for awakened heart, if you put your hand through your rib cage and feel for it, there is nothing there except for tenderness. You feel sore and soft, and if you open your eyes to the rest of the world, you feel tremendous sadness. This kind of sadness doesn’t come from being mistreated. You don’t feel sad because you feel impoverished. Rather, this experience of sadness is unconditioned. It occurs because your heart is completely exposed. There is no skin or tissue covering it; it is pure raw meat. Even if a tiny mosquito lands on it, you feel so touched. Your experience is raw and tender and so personal. Warriors Rejoice at the Great Eastern Sun! Months ago, I wrote a poem about a scab over my heart. This was right before I had my heart broken completely. Maybe it’s time to pick at that scab and reveal the tender flesh beneath… Then again, I think I have already started doing just that.